No images of SKY POWER ENERGY Installations. I wish to express my thanks, for providing an excellent and stress free experience installing my 5.9 kw system. 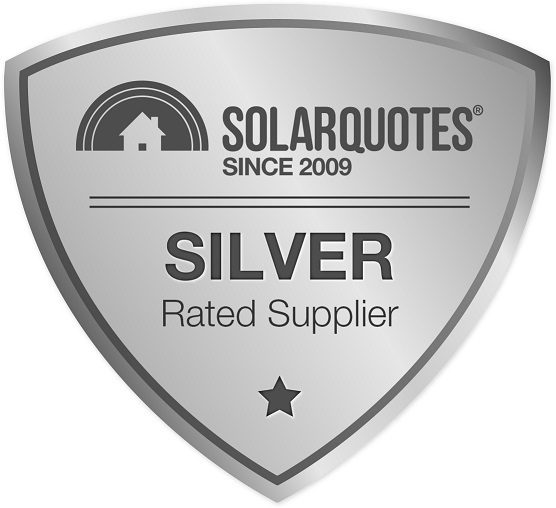 From the initial quote to completion, unable to fault, with my new Solar system you were able to address all my concerns and answer all questions in a professional and polite manner. I had quotes from larger providers but found there customers service lacking just a sale, where you tailor made systems to individual needs. Sky power was great to deal with however, as this is a sole provider service no support was available when Charles took leave (for an extended period). Great experience. Charles from Sky Power was brilliant to deal with. Listened to what we wanted and ended up saving money by going through Charles. We found Charles to be honest and informative and is a local company. The electrical installers were very informative as well as they work for other companies as well and gave us a bit of an incite of who not to choose to buy from. We got prices from companies from the home show and they were really expensive as they tried to sell top of the range systems. With all the info I have researched I found 20/265 Watt Jinko MX panels and Fronius inverter to be a good quality and reliable system.We could of got away with a 4KW system but i like to add a bit more for eventualities, knowing power companies and Governments, that's not a bad idea. On a bright sunny day it produces well over 5KW, sunny day with high cloud cover 3.5KW to 4.2KW average out put.These readings were taken at about 1.00pm at peak performance. We have 10 panels facing north and 10 on the west side due to roof configuration. Charles gave us a few choices on different panels and prices from other tier 1 panel suppliers, so with a lot of research we chose Jinko MX and the Fronius inverter with a 10 year guarantee. This system will easy pay for it self in under 5 years, you really need to do your home work to get the balance right. I would like to thank Finn and his team for a fantastic web site and the hard work they do in compiling all this information, they are happy to help in all aspects. You can also get more info from the Choice website as well, that had panel testing results which was handy in choosing the right panels. An addendum to a posting a couple of months ago. The installation is 15 x 270 watt Canadian Tier 1 solar panels each connected to Enphase S-Series microinverters and then to an Enphase Envoy S-Metered 'gateway'. The Enphase Envoy is accessed through the Enphase MyEnlighten app in my iPad. The Envoy feeds into the internet via the wifi here, with the performance of the individual panels able to be monitored worldwide. Though it took a couple of months to get it working properly, the final link in my ability to monitor performance was completed last week when the Jemena smart meter began to show both consumption and feed-in when the meter is accessed on-line. During the period the system has been operating we have been able to determine the least costly (best) time to use the high load appliances such as dishwasher and washing machine and only use the gas fire to supplement reverse cycle air conditioning, particularly sitting around the 'fire' at night. The cost savings in reduced gas and electricity from the grid are already apparent. Charles promised and delivered a quality system at an excellent price. From quote to install was only 4 weeks meaning we could benefit from our Melbourne summer and start making electricity quickly. they also did a great job with the cable connections between the panels, inverter and main fuse box. Our 5kW system consistently delivers an average 30kWH per day with a peak seen of 40.5kWH. Charles from Sky Power was great, came to my house explained the system and the type and size he proposed and why. Provided any information and detail I asked for and stayed in contact and updated me on when the installation was to happen. Charles followed up the installation with another visit to check on the completed works. Would recommend Sky Power to anyone who wishes to install solar. Charles runs a small local service in Hoppers Crossing. He attended on time to quote, listened to what we wanted and tried to work in with us throughout the process. The installer inspected the site before hand, was also on time, efficient and cleaned up properly afterwards. From quote to installation took two weeks only. Inspection took another two weeks and unfortunately AGL took another three. Even though the paperwork was submitted on the day of inspection (not very happy at all with their service at this time) . Jemna on the other hand only took three days to re-program my smart meter.